In this dunya (world) people interact and have relationships with others based on one fundamental factor; benefit. For example, a person goes to work because there is a benefit in doing so. He gets paid and as a result has a comfortable life. A husband loves his wife because through her he gets satisfaction, comfort and support in times of need. If however, in any relationship there is no benefit(s) involved then a relationship between two people goes through a turbulent time. In some cases, it ceases to exist. For instance a marriage might end up in divorce if the marriage conditions are not met and both parties in the institution of marriage cannot find a solution. It is widely accepted that a person will only become loyal and dedicated to a cause, relationship or a contract when this underlying reason is there. When the question of receiving benefit is withdrawn from the equation of life. Then it is incomplete and cannot serve to motivate anyone towards anything. For many knowing the benefit of an action or relationship is the glue that binds together all their actions be that religious or social. A person has the driving force to motivate himself to do this or that. This is why knowing this and being the creator of all, Allah subhanallah wa ta ala has mentioned the benefits of doing good deeds in his eternal book. Moreover the awliyah have mentioned there are more than 100 reasons and benefits of having a sincere relationship with Allah; befriending Allah over everyone else. 1) A relationship is usually based on one main reason; receiving benefit. Relationships only exists when both parties involved can see the benefits for each individual. When this factor is not there a relationship or an interaction does not exist. 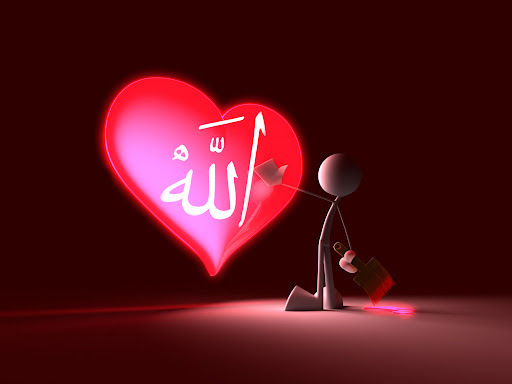 However, in a relationship with Allah the benefit is only for the servant. Allah does not benefit nor need to benefit from his servant worshiping him. When a person praises him azzawajal, it is the servant who benefits and not Allah. He is free from this. 2) Allah never misunderstands his servant. He knows what is in the heart and the mind of his servant even if he is not fluent in expressing himself. Many times in this world a relationship between two people a couple or business partners for example is finished because of misunderstanding each other. Allah is above all these deficiencies. 3) Creation often forgets things and as a result a person may suffer great loss financially, socially or otherwise. Due to forgetting the promises made between two parties. The lord of all the worlds never forgets or breaks a promise. His words are true and the deeds which a servant does he never forgets even if it is a small deed. 4) Family members, friends and colleagues can be blackmailed, pressured or threatened into harming a person. They may have the best wishes at heart but due to the threat of being inflicted with harm they will succumb and fail to stop. Allah subhanallah wa ta ala can never be pressured or threatened into anything or blackmailed. Everything fears him and no one can even question Allah. 5) Around the world today there are many people being oppressed and tortured. Other people want to help, support and stop this from happening. But, they cannot as they do not have the means to do this. Similarly, there may be times when a person’s family may want to free him from captivity, torture or oppression but they cannot do anything, they too are helpless. Even countries sometimes refuse to help it’s nationals when they are kidnapped in foreign countries as they too become helpless. He subhanallah wa ta ala can help anyone and everyone if he wishes to. Allah can overcome any oppressor and tyrant. There is nothing that can stop him. 6) Mortal beings are limited. Limited in knowledge and understanding of things. They do not have the knowledge of the future. A person may be suggested to under go an investment or purchase a building as it looks good in the present time but may turn out to be bad in the long run. Allah is free from this, he has the knowledge of the future, the past and present. If he promises or suggests something for his servant then there are untold benefits for him in the present, past and future. 7) Everyone in the world can be overcome by the devil and as a result end up causing harm to a person. Except the prophets, whom have come and gone, they are sinless (ma’sum). People may desire the best for a being but later on get tempted by the devil and change their idea, support or character. Allah Rabbul Izza, is never overcome by the devil. The cursed one is merely a creation of Allah and he has no power over him. 8 ) No one can bribe Allah or give him incentives. No one can buy Allah with gifts or presents, he is free and above all this. Creation can be and in turn give tremendous harm to a person. 9) Nothing can make Allah become fearful or scared. He is the owner of all the worlds. Everything needs him and he, Rabbul Izza, maintains everything. On the other hand humans can become scared and fearful and as a consequence cause harm, although they may wish not to. 10) Sometimes a person may wish to reward another being with large gifts but he is unable to afford it and cannot materialize his wish. However, Allah the lord of all creation, has unlimited treasures as it suits his majesty. He can give the best things to all creation and this will not cause one drop to decrease in his treasures. 11) Allah is Al-Khāliq (The Creator) & Al-Malik (The King, The Sovereign) He can give harm and benefit from anything, he owns everything. Something which is usually a cause for harm can be turned to be a means to give pleasure. This is the quality of Allah. The fire in which Sayyiduna Ibrahim (AS) was thrown in turned to be cool and pleasant and the staff of Sayyiduna Musa (AS) turned to a snake to teach a lesson to the people of pharaoh’s. Where as creation is incapable of doing this, a mobile phone cannot be used to fly to makkah or a TV cannot be used to cook food. It is limited to what it has been created for. Allah is the only being who has the ability to change the function and cause of anything to something else. Also, a person may own a car but when he sells it, then it become the property of someone else. This is temporary ownership. Allah owns everything and everything is ultimately his Jala wa ala.
A person who will make Allah his friend and have a sincere relationship with him. He will be a powerful being. Simply because his support and friend is the king of all kings, the owner of everything, Allah Rabbul Izza.